Former BC Ferries navigation officer Karl Lilgert has been convicted of two charges of criminal negligence causing death. The jury in the Queen of the North trial has reached a guilty verdict in B.C. Supreme Court in Vancouver. Passengers Gerald Foisy and Shirley Rosette were presumed to have drowned when the ship sank on March 22, 2006, just south of Prince Rupert. The trial began in January and the jury began deliberating on May 7. After the verdict was read, Lilgert and his lawyer, Glen Orris, were surrounded by media as they left court. They did not make any statements. Lilgert was not taken into custody. He remains free until his sentencing hearing on June 21, when the Crown will suggest what penalty it deems appropriate. The maximum penalty for criminal negligence causing death is life imprisonment. Crown spokesman Neil Mackenzie says prosecutors will have to consider many factors when recommending a sentence for Lilgert. "Obviously in these circumstances, there aren't a lot of comparable cases," he said. "They also look at the background of the person that has been convicted and ultimately those are all factors the Crown will have to take into account." 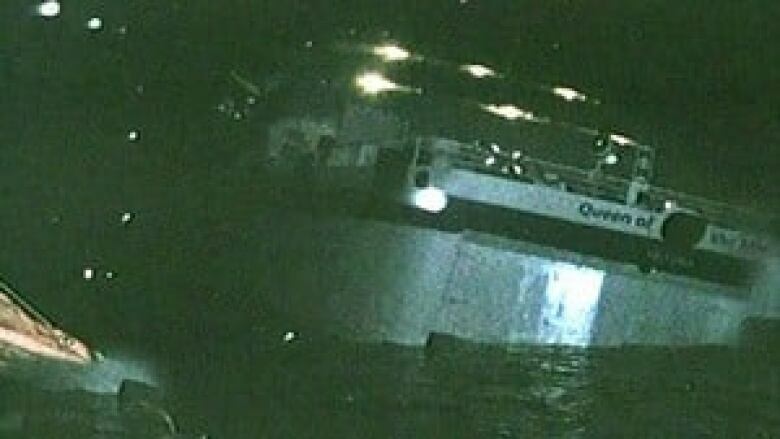 Jill Lawrence, a passenger on the Queen of the North, told CBC News she is happy with the verdict, but says there are still many unanswered questions about what Lilgert was doing the night the ship sank. "I think it will give some peace to the Rosette and Foisy family, maybe a little bit," she said. "I just wish he was more honest and said what was going on." Lawrence said she is still haunted by the terrifying experience on board the Queen of the North. "In the first few years, it was tough to sleep, you know," she said. "I was never afraid of water before, but I can't see myself ever going on a cruise or going on a ferry again, if I could help it." During the trial, Orris told the jury Lilgert was doing his job to the best of his ability the night the ship sank, and there was no evidence he showed wanton disregard for the safety of lives. Orris said if Lilgert made a mistake, it was an honest mistake and not a crime, and asked the jury to allow his client to get on with what was left of his shattered life. But Crown prosecutors said Lilgert's testimony that he made two course corrections to avoid a smaller vessel just before the ship struck Gil Island was "completely unbelievable, fabricated and concocted." Crown prosecutor Robert Wright said the jury should ignore Lilgert's explanation of the moments before the ferry ran aground, as well as testimony from his former lover, quartermaster Karen Briker, who also testified Lilgert was actively navigating the ship. Wright pointed to electronic records that showed the ship did not alter course for 20 minutes before the crash, saying that showed that Lilgert was not doing his job.